I love this after shave, it’s a great all rounder and much better than any cream based post shave product. The alcohol prevents any infection in nicks by killing bacteria and the Shea oil adds moisture back into the skin. I love that it dries quickly so that I can apply moisturiser over the top. The fragrance is nice but short lasting, which I think is a good thing as I always wear an EDT or Eau De Parfum fragrance which I wouldn’t want to overpower. Lovely stuff that gives a great post-shave feel. Great service as always from Anthony and the team. 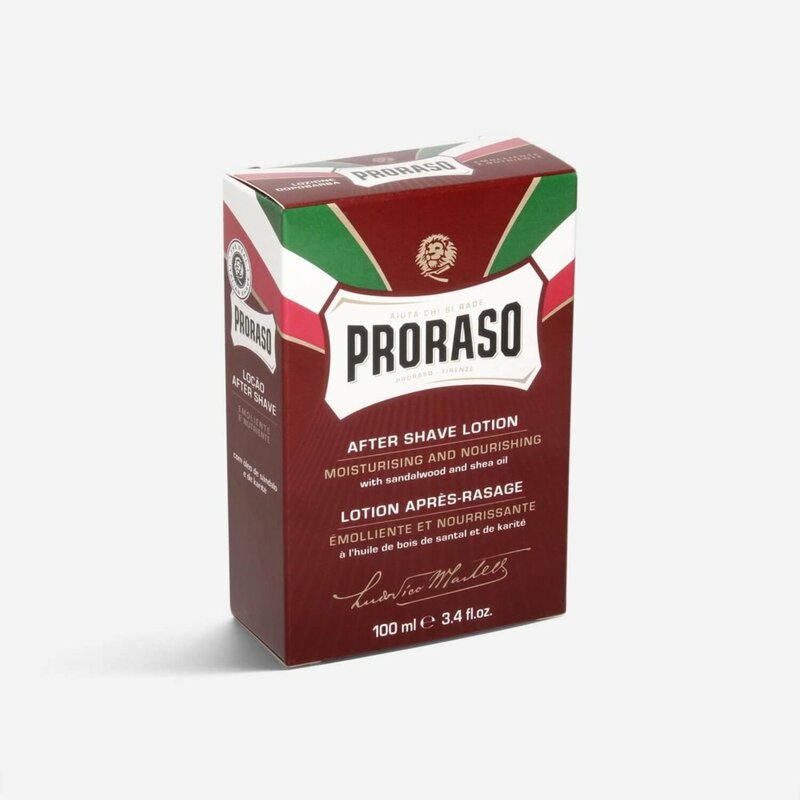 I stumbled upon the Proraso Red Line somewhat by accident when I joined a group of shavers at Badger&Blade for an All Italian Month (June 2016). I read that it was best suited to those with coarse beards and dry skin. That’s me. I immediately ordered a tube of the Proraso Red soap. The Red After Shave Lotion wasn’t available then (May 2016) but rumours abounded as to when it would be launched. On the arrival of my first tube of Proraso Red soap (22 May 2016), I used it straight away. I couldn’t believe how good my skin felt, right up to the next shave. Needless to say, I’ve used nothing else since. I eventually found a supplier in Spain. My first bottle of Proraso Red (Sandalwood) After Shave Lotion landed on 6 June 2016. I used it straight away, and I think I was one of the first in the UK to do so. Prior to this I’d never used an ASL that made my face feel so good during, and after (long after), the application. I’m not really into YouTube shaving videos, but I have watched a few. Something I noticed was that lots of shavers applied ASL to not only the beard area, but to their whole face, ears, and neck. As I was totally in love with the new Proraso Red ASL I thought I’d give this “all over” application a try. WOW! Fabulous, it felt great. Not only does it feel great, but it’s completely sorted my dry skin! My skin feels great for the first time in years. Bear in mind here that I’m not just talking about a 24 hour treatment. I like playing around with facial hair styles, and transforming myself from a hobo to a clean shaven gent, etc, etc. On average I shave every two days. But my shaving frequency varies between 12 hours and less to 4 days and more. And even on a four day plus gap between shaves my skin is still never dry any more. Hooray Proraso Red! And finally… the scent! 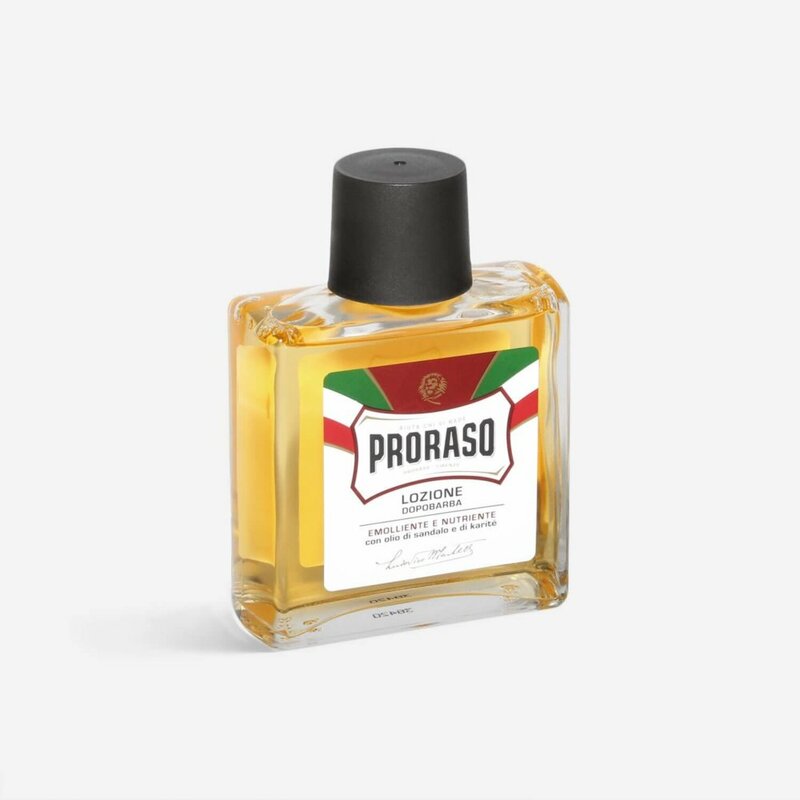 To me the scent is typically Proraso Red. I don’t find it to be exactly the same as the soap (some do). I find it to be a very pleasant and subtle scent (i.e. enjoyable without blowing your [or anyone else’s] mind). 1. Please accept my apologies for labouring on so much, but I felt that I needed to say all of that by way of explanation. 2. A big “thank you” to Shave Lounge for carrying this great line and for being the best traditional shaving goods supplier in the UK (IMO). Great smell but doesn’t last very long. Good aftershave and smells great. Compliments the Proraso sandalwood and Shea butter shaving soap well. 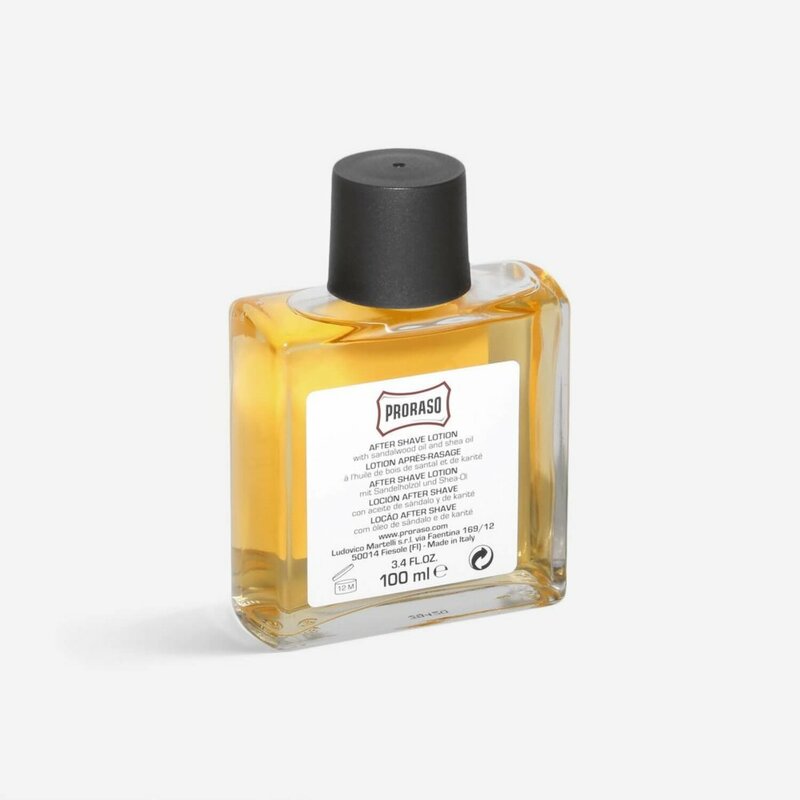 I have nothing to say except that it is lovely lovely lovely scent that is warm and clean and fit for all year seasons, it gives confidence and must recommend it to everyone.